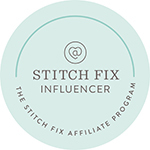 stitchfix.com/referral/10223… use my code and they’ll waive the $20 styling fee it’s a win! Get entered to win a $100-$2500 credit too!! Posted in #TRENDS, Best Deals, Fashion, New Items, Outfits, Stitch Fix, Trends and tagged #TRENDS, Fashion, fragrance, my style, Personal Stylist, Shopping, Stitch Fix, Stitch Fix Credit, StitchFix reviews, style, stylists. Bookmark the permalink.